A subsidiary company of Coinstar, Redbox specializes in renting Blu-ray discs, DVDs and even video games through retail kiosks that are automated. The subsidiary company has over forty-two thousand kiosks in over thirty-four thousand locations. Automated Retail of Redbox was funded by McDonald's Corp, at the initial days. In the year 2002, Redbox initiated retail through the automated kiosks from various locations of the Metropolitan area of Washington. During those days, the company even used to sell groceries through the kiosks, along with renting DVDs. However, with the growing success of DVD renting kiosks, the company shifted its attention to that business only. The company was founded by Gregg Kaplan. There are currently 7 consumer reviews about Redbox available. Share your review. In the past few days, I have had to contact Customer Service twice. Each time I was connected with two people that was very difficult to understand. They were of no help either. I understand that they have to work as well however, if I am paying for your service, I want to be able to be helped and get the issue resolved. I accidently returned a dvd that didn't belong to redbox in there machine, with there case. And was told a tech would come out the next day and retrieve it and call me. Then calling again found out I was lied to, tech will not even look for it and no record of me calling and giving my number. Redbox will not send a tech out or do anything, now I'm being charged by the other dvd machine each day and they refuse to get it out. They are stealing money from me, I even talked to a supervisor and same story. WORST CUSTOMER SERVICE!!!!! Other dvd company is unable to help me so thanks to Redbox I will be charged 25.00 because there too lazy to send a tech out. I'm beginning to dislike Redbox.... I contacted Redbox earlier this morning regarding to an unauthorized charge. The representative stated that the transaction fee did not go through July 5th, 2013 and today, is July 22. This sounds very suspicious and why would it take 3 weeks to process a fee, that should have processed 3 weeks ago. The representative stated that it has to do with my bank, for it to clear. But I called my bank over this past weekend regarding to another situation with Redbox and my bank stated that Redbox hasn't done any cancelling on their end, so my bank could release the credit back into my accounts. Very frustrating, because you feel that you dealing with incompetent people at Redbox and they are just giving you the "run-around". Not to be cruel or mean, but it seems that most of the times now - we are dealing with these types of people. I will NOT reserve or retrieve any movies at Redbox. 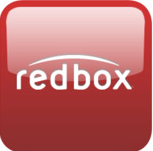 Please take a note that you are about to post a public review about Redbox corporate office on CorporateOffice.com. This review will be public, so please do not post any of your personal information on this website. If you would like to contact the corporate offices of Redbox, please use their contact information such as their phone number, website, and address listed above to contact them. However, sometimes staff from Redbox headquarters do read the reviews on this website.